I am a research professor at the University of Iceland's Institute of Earth Sciences, where I and my PhD students study water/rock, water/gas and water/biomass interactions by field and laboratory experiments. Currently I am the President of the European Association of Geochemistry and I am one of three directors of CarbFix, an international initiative to store carbon in basaltic rocks. My main scientific contributions are 1) measuring the chemical and physical erosion rates of basaltic terrains and their role in the global carbon cycle, 2) quantifying the carbon storage potential of basaltic rocks, 3) measurement of the dissolution rates and dissolution mechanisms of volcanic glasses and minerals as a function of glass composition, aqueous solution composition and temperature and 4) assessing the environmental pressure from volcanic eruptions. I have published over 100 scientific articles in peer-reviewed international scientific journals and a book in Icelandic on the global carbon cycle. I was named International Association of Geochemistry (IAGC) Fellow for 2016, Geochemistry Fellow of the Geochemical Society (GS) and The European Association of Geochemistry (EAG) in 2018, and was awarded the Patterson Medal of the Geochemical Society in 2018 for innovative breakthrough of fundamental significance in environmental geochemistry. Matter JM, M Stute, SÓ Snæbjörnsdóttir, EH Oelkers, SR Gislason, E Aradottir, B. Sigfusson, I Gunnarsson, H. Sigurdardottir, E. Gunnlaugsson, G Axelsson, HA Alfredsson, D Wolff-Boenisch, K Mesfin, DFR Taya, J Hall, K Dideriksen, WS Broecker (2016). Rapid carbon mineralization for permanent and safe disposal of anthropogenic carbon dioxide emissions. Science, 352 (6291), 1312-1314. Gíslason S.R., G. Stefánsdóttir, M.A. Pfeffer, S. Barsotti, Th. Jóhannsson, I. Galeczka, E. Bali, O. Sigmarsson, A. Stefánsson, N.S. Keller, Á. Sigurdsson, B. Bergsson, B. Galle, V.C. Jacobo, S. Arellano, A. Aiupp, E.B. Jónasdóttir, E.S. Eiríksdóttir, S. Jakobsson, G.H. Guðfinnsson, S.A. Halldórsson, H. Gunnarsson, B. Haddadi, I. Jónsdóttir, Th. Thordarson, M. Riishuus, Th. Högnadóttir, T. Dürig, G.B.M. Pedersen, Á. Höskuldsson, M.T. 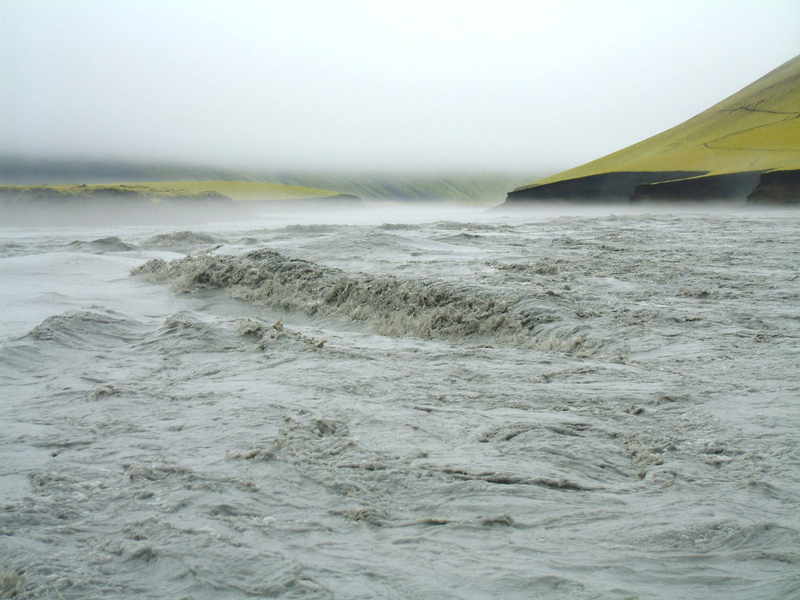 Gudmundsson (2015).Environmental pressure from the 2014–15 eruption of Bárðarbunga volcano, Iceland. Geochemical Perspectives Letters (2015) 1, 84-93. Gislason SR and Oelkers EH (2014). Carbon Storage in Basalt. Science 344, 373-374. Gislason, S.R.,T. Hassenkam, S. Nedel, N. Bovet, E. S. Eiriksdottir, H. A. Alfredsson, C. P. Hem, Z. I. Balogh, K. Dideriksen, N. Oskarsson, B. Sigfusson, G. Larsen, and S. L. S. Stipp (2011). Characterization of Eyjafjallajökull volcanic ash particles and a protocol for rapid risk assessment. PNAS 108, 7307-7312. Gislason, Wolff-Boenisch, Stefansson, Oelkers, Gunnlaugsson , Sigurdardottir , Sigfusson , Broecker, Matter, Stute, Axelsson, Fridriksson (2010). Mineral sequestration of carbon dioxide in basalt: A pre-injection overview of the CarbFix project. International Journal of Greenhouse Gas Control 4, 537–545. Gislason S.R., Oelkers E.H., Eiriksdottir E.S., Kardjilov M.I., Gisladottir G., Sigfusson B., Snorrason A., Elefsen S.O., Hardardottir J., Torssander P., Oskarsson N. (2009). Direct evidence of the feedback between climate and weathering. Earth and Planetary Science Letters, 277, 213–222. Gislason, S. R. and Oelkers, H. E. (2003). Mechanism, rates and consequences of basaltic glass dissolution: II. An experimental study of the dissolution rates of basaltic glass as a function of pH and temperature. Geochimica et Cosmochimica Acta, 67, 3817-3832. Gislason, S. R., Arnórsson, S., and Ármannsson, H. (1996). Chemical weathering of basalt in SW Iceland: Effects of runoff, age of rocks and vegetative/glacial cover. American Journal of Science, 296, pp. 837-907.